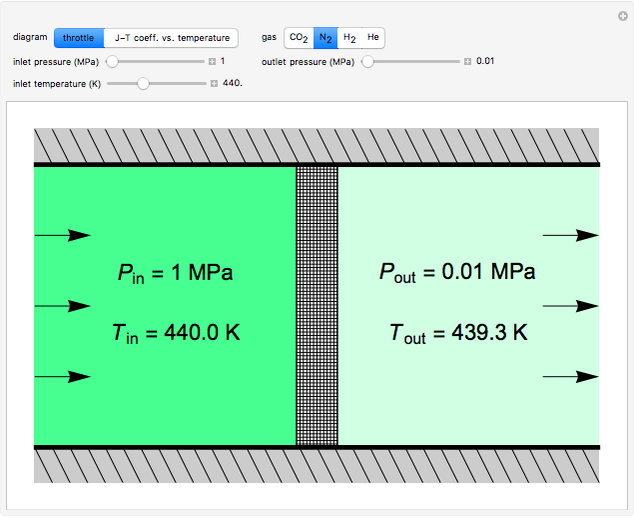 When a gas expands through an adiabatic throttle (often a porous plug), the temperature can change as a result of the Joule–Thomson effect. You can select one of four gases, and use sliders to adjust the inlet temperature, inlet pressure and outlet pressure. 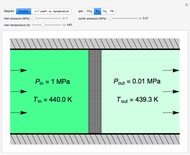 The intensity of the green color is proportional to the gas density, and the throttle is thicker for a larger pressure drop. Select "J-T coeff. 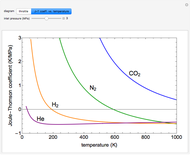 vs. temperature" to see the Joule–Thomson coefficient plotted as a function of temperature. The throttle does no work, and because the gas moves so quickly through the throttle, it does not have much time to transfer heat to the surroundings. 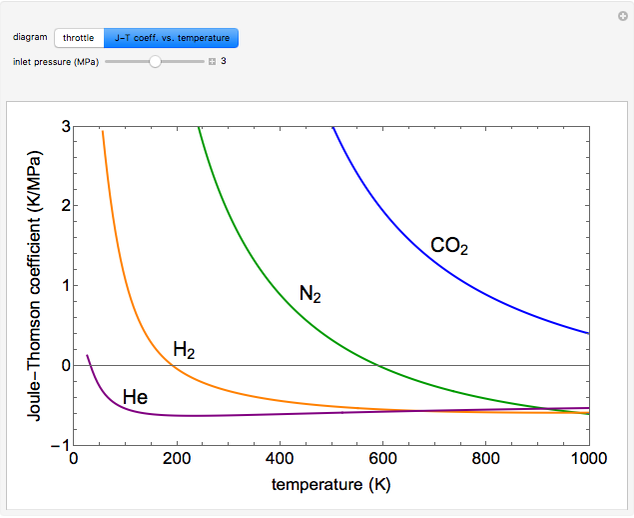 where , and is the Joule–Thomson coefficient. If , the outlet temperature is lower than the inlet temperature. If , then the outlet temperature is higher. J. R. Elliott and C. T. Lira, Introductory Chemical Engineering Thermodynamics (2nd ed. ), Upper Saddle River, NJ: Prentice Hall, 2012 p. 236. Adam J. Johnston "Joule-Thomson Expansion"